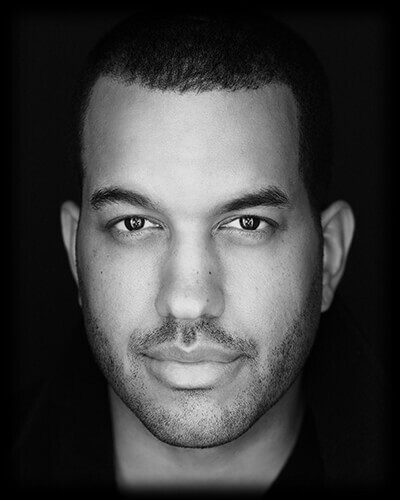 Jeff trained as an actor at Howard University, Oxford University and the William Esper Studio in NYC. He has over a decade of experience as a voice over talent working with companies worldwide. Jeff’s deep, versatile and charismatic voice has been described as commanding, authoritative, powerful, storyteller, deep, conversational, relatable and unique. He works in many genres of voiceover including documentary narration, promo, trailer, commercials, radio imaging, corporate, award ceremonies, animation, and video games. Jeff’s voice can be heard on a wide variety of global media platforms, from broadcast television and radio to movie theaters and websites. As a SAG-AFTRA member and voice actor currently signed with Atlas Talent, Jeff has performed countless voice overs for many of the world’s leading brands, including NBA on TNT, Verizon, Ford, NBC, Disney, The History Channel, FOX, NBA TV, Volvo, CNN, McDonalds, Spike TV, Discovery Channel, Bounce TV, Hershey’s, National Geographic, ID Discovery, Papa John’s, TNT Drama, WGN America, Sony Pictures Entertainment and many more.